I always enjoy sharing my opinion about various topics with companies, and I really enjoy the awards I get for doing it! 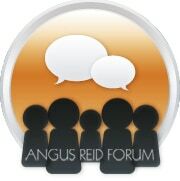 Angus Reid Forum is a great site that offers surveys to Canadians. I receive frequent survey requests from them and the rewards are pretty decent. You are rewarded with survey dollars or draw entries for all sorts of neat prizes! I do find that their surveys are somewhat sporadic, but when they do come, they typically have a decent amount of time before they expire. You do have to wait until you have $50 to cash out, which is why it’s not my go-to site. However, if I had more time to devout to surveys, I’d definitely be spending a lot more time on Angus Reid (like I did in the past). ​It costs nothing to join, so why not get paid for telling companies what you think?!? !